Francis Beckett's book relates the life of his father, the son of a Cheshire farmer. His account also gives an insight into the turbulent and changing times this country was facing between WW1 and WW2 with which his father was associated. 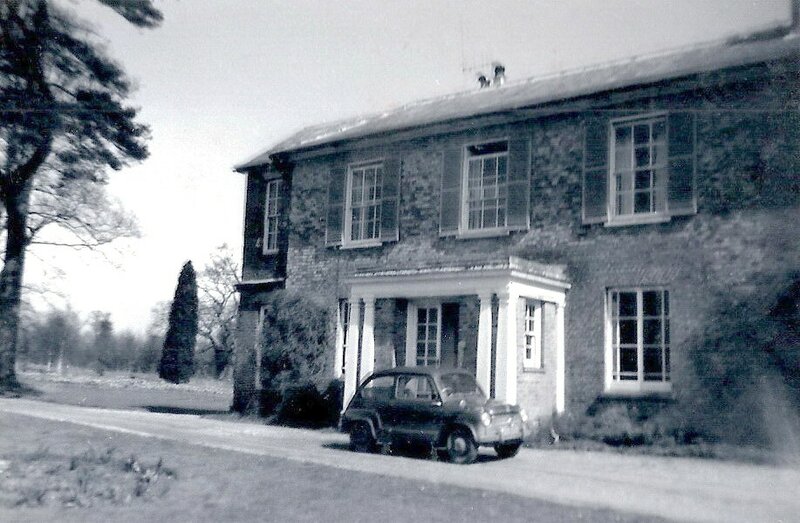 John William Beckett and his family lived in Thurlwood House, Loudwater Lane, Croxley Green between 1949 and 1962. Following his early political life as a socialist, in the 1930s he became a supporter of Fascism, first as a member of Oswald Mosley’s British Union of Fascists, then as the founder of both the National Socialist League (with William Joyce, who later became notorious as Lord Haw Haw) and the British People’s Party. He was identified as one of the three most prominent people who challenged the government on security when the country was on the verge of entering World War Two in 1939. John William Beckett's family originated from the north-west of England. His father William was the eldest of twleve children and was brought up on Thurlwood Farm, Rode Heath, Cheshire. William was encouarged to leave home and seek work with a career that would improve his social level. In 1893 he married Eva Dorothy Salmon in Islington, London. They had two sons, John William born in 1895 and Cecil Rhodes in 1899. The 1901 census shows William listed as an employer with several employees in his draper's business and living in Hammersmith. His eldest son John gained a scholarship to the Latymer Upper School in Hammersmith. 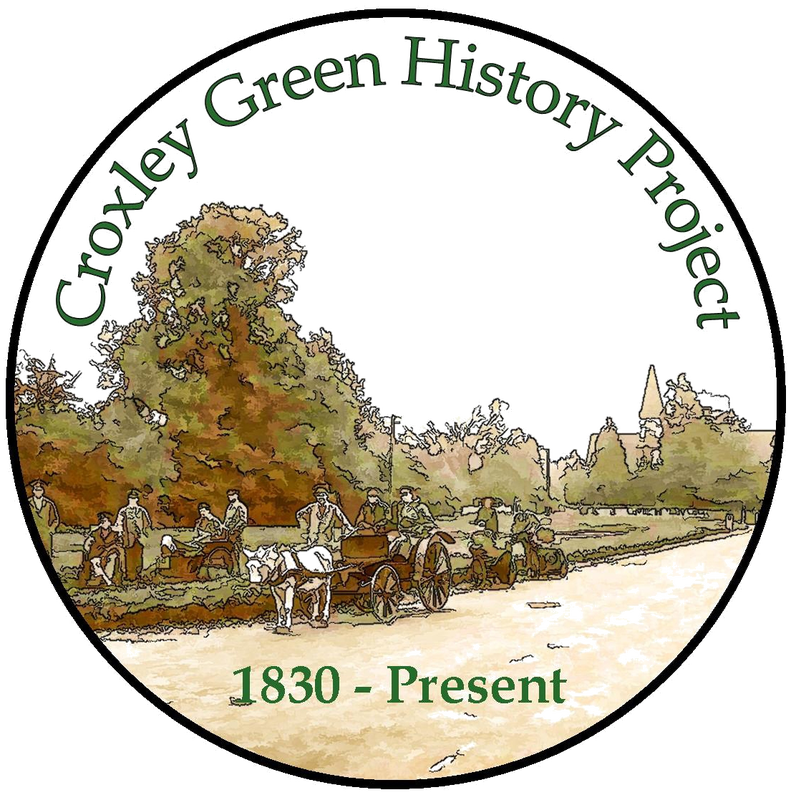 By the date of the 1911 census, the family had moved to 7 The Parade, Pinner, Middlesex. Sixteen year old John was a draper's apprentice in the family business whilst Cecil, eleven years old, was still at school. However his father's business sufferred financially and John decided to take a correspondence course and attend night school to study advertising and journalism. In 1914 after WW1 was declared John enlisted in the army. Young patriotic men were expecting to be sent to France and Belgium to face the German invasion. However, John's regiment, the Kings Shropshire Light Infantry, served in areas of the Far East including Rangoon. The Government considered it necessary to secure Britain's interests in this part of the world which had been established during the Victorian age. John's health suffered in the climate and he was sent home. As a Lance Corporal in 1917 his discharge papers registered he had no further involvement in the war which ended the following year in November 1918. For a short while John lived in Sheffield, where Socialism began to interest him; he joined the Independent Labour Party in 1917 and decided to move back to London. The Willesden London Registery documents show John married Helen Shaw in 1918. John came in contact with soldiers returning home from the horrors of the frontline battlefields who were having to face the hardships of trying to fit in with their previous lifestyle. He noticed the inadequate support they were given both financially and in coping with post-war trauma. John met fellow sympathiser Ernest Mander and they set up the National Union for Ex-service men (N.U.X). Although this gained a huge following within six months and had branches all over the country, it was not to last. Field Marshal Douglas Haig formed the Royal British Legion that was funded from sources obtained through the Government. He set up this charity to assist all ex-service men which led to the beginning of the annual poppy fund. This now supports service personnel from all conflicts Britain has been involved with. Consequently small groups such as the N.U.X. struggled and did not survive. The working classes in general were struggling, living in poor conditions and subject to mass unemployment. John observed how different it was from the life of the upper-classes. Many wealthy individuals appeared to have profited from the war. John was determined to try and change the way in which working class people were treated. John's determination took many turns in the next few years to try and make this difference. In 1919 when the Hackney borough of London elections took place John was instrumental in attracting hundreds of the electorate to open air meeetings. Speaking, to secure their votes for the Labour candidates, he was so successful that for the first time Labour candidates were elected to Hackney council. They had an over-all majority albeit small.The new Labour councillors were concerned as they actually had no experience for running the borough. A decision was made to co-opt Herbert Morrison as an alderman, and then vote for him as Leader and mayor of the council so he could take control. At the time he was the secretary of the London Labour Party. The following year in 1920 a vacancy occurred and John was also elected to serve with his fellow Labour supporters. Unfortunenately Herbert Morrison and John Beckett had disagreements during the council proceedngs. This resulted in John leaving. This altercation between Herbert Morrison and John Beckett is viewed to have been detrimental later to John in 1939. 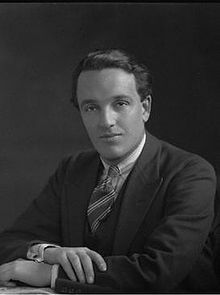 However, John continued touring the country speaking whereever he could rallying people to support the Labour Party as an Independant Labour Party supporter.The same year 1920, John accepted the position of full-time agent for Clement Attlee. He became honorary secretary of the Independent Labour Party Divisional Council, and secretary of the No More War Movement, founded in February 1921. John and his family were offered accommodation in Clement Atlee's home, Norfolk House, Limehouse, East London. Their daughter Lesley was born in May 1923. As an Independent Labour Party member and affiliated to the Labour Party John was encouraged to stand as a candidate for Gateshead, County Durham in the 1924 General Election. Winning the seat previously held by the Liberal party, he became Labour's youngest Member of Parliament aged twenty nine years. However, the Labour Party led by Ramsay MacDonald lost to the Conservatives led by Stanley Baldwin. Gateshead was one of the most impoverished mining areas in Britain and John was able to witness first hand the help and support the families desparately needed. He was confident he could help to make changes through the democratic House of Commons. It was during this time John became acquainted with Arthur Bourchier and his actress wife Kyrle Bellew. Arthur, an actor-manager, leased the Savoy Theatre, London and was successful in putting on popular plays. His touring productions were also very successful. John loved the theatre and the company of theatre goers. His lack of success in his attempts to bring about changes to help struggling families led to John’s disallusionment. He was disappointed to realise how little influence a 'back bencher' really had in Parliament. He toured the Durham coalfields in 1925 and noticed the huge divide between the north and the south of the country. Miners’ homes were small and outdated and even though the coalfields had prospered the mine owners intended to cut wages. The owners argued they were now losing income. In desperation John, with others, convinced Neville Chamberlain the Conservative Government's Health Minister to grant a subsidy to the area and the Gateshead Board of Guardians. This fund only lasted until the early part of 1926. In May of that year a General Strike was called in sympathy for the coal miners. It only lasted nine days and resulted with a defeat for the workers. John knew huge profits were being made in Poland from mines owned by British employers who were also exploiting the foreign miners. It was soon after this that the Communist Party membership, already increasing, doubled in Britain. Money from the Soviet Union was brought into the country by agents. In the region of £270,000 went to assist British mining communities. Even though John's sympathies lay with the miners in Gateshead he came to realise that as a politician he could not give enough support to that area. The distance, travelling conditions and his family life became problematic. His wife Helen and their daughter left the family home and went to live with Helen's mother. In 1927 John concluded the House of Commons was not for him and he had an opportunity to travel abroad, meeting up with Arthur Bourchier and his wife Kyrle Bellew who were in South Africa. Arthur Bourchier collapsed and died whilst on this visit. John and Kyrle Bellew had begun an affair some years earlier. Following Arthur's death and John's divorce from Helen in 1929, they were married soon after. With another General Election due in May 1929 John decided to resign from the Gateshead constituency. Instead he was given the opportunity to stand for the Peckham, London seat where he was successful. John re-kindled his socialist drive trying to influence and make changes through parliamentary proceedings. However, the following year in 1930, during a difficult debate in the House of Commons regarding the suspension of Fenner Brockway John siezed the ceremonial Mace from the Speaker's Table and ran out of the Chamber with it, shouting 'Mr Speaker, these proceedings are a disgrace'. He got as far as the Inner Lobby before two attendants stopped him. Under parliamentary rules no debate can take place without the Mace being in place and John had felt his actions would delay the debate and a decision. John was suspended on a few occasions because of his conduct. Another General Election followed in 1931and John failed to secure his seat. He joined his wife Kyrle and invested in the theatre, taking over the management of the Strand Theatre. This was not a success. They became bankrupt in 1932, and parted the following year. Set up in 1922 the Mussolini regime in Italy had also impressed Oswald Mosley. In January 1932 Mosley met Benito Mussolini in Italy. Mosley was impressed by Mussolini's achievements and when he returned to England he disbanded the New Party and replaced it with the British Union of Fascists. Also a prominent member was William Joyce. In 1933 John's interest now lay with this movement. 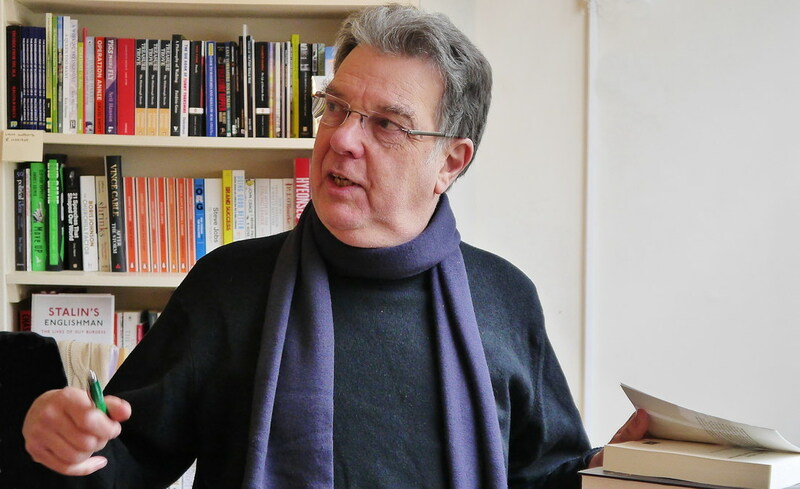 Known for his ability to write encouraging speeches, John become Director of Publications, serving as editor of both the B.U.F. publications, Action and Blackshirt, for a time. However, in 1937 Oswald Mosley sacked John Beckett from his salaried position as funds became difficult to secure. John and William Joyce then formed the National Socialist League. Joyce as the deputy leader had strong views, favouring support of Adolf Hiltler's activities in Europe. He became an extremist as well as having anti-semite outbursts. A year later John parted from William Joyce. It was during the time after John and Kyrle had separated that a shorthand typist, Anne Cutmore, began working in the office with John. They became a partners and lived as man and wife, unable to marry as Kyrle would not allow a divorce from John to proceed. In 1939 John became a founder member of the British People's Party (B.P.P.). The Marquis of Tavistock was also a founder member and supported the group financially. He became its chairman. He succeeded as the 12th Duke of Bedford the same year and was known to be a pacifist against war with any nation. Difficulties in Europe were moving rapidly as the German dictator Adolph Hitler invaded Germany's neighbouring countries. The British Government led by the Conservative Party with Neville Chamberlain as Prime Minister was aprehensive about taking the country into another war. Neville Chamberlain believed he had obtained a peace treaty with Adolph Hitler. Germany invaded Poland and, the treaty broken, Britain was now committed on the 3rd September 1939 to another war with Germany. William Joyce was later known to be the voice of propaganda radio broadcasts from Germany. His aim was to convince the British people that events in Britain were going so badly that it would inevitably lose the war! He was nicknamed Lord Haw Haw because of his supposedly ‘posh’ accent. In a newly formed coalition government under Winston Churchill in May 1940, Home Secretary Sir John Anderson submitted a hurried amendment to the Treachery Act/ Defence Regulations 18b. It would give powers to arrest anyone suspected of espionage and grave cases of sabotage and could carry the death penalty. It also added any associates and sympathisers who could prejudice the security of the State could also be arrested. The Metropolitan Police raided the London headquarters of the British Union of Fascists and arrested thirty-four members including the Blackshirts' leader, Oswald Mosley. Also taken into custody were John Beckett, British People's Party, and Captain Maule Ramsay, President of the Right Club and Conservative MP for Peebles. Both were considered anti-Semites and pro-Nazis sympathisers and were interned in H.M. Brixton prison London. In October the same year Herbert Morrison became Home Secretary and Minister of Home Security. John began his internment in H.M.Brixton prison but was moved around the country to other detention centres as well as being transferred to the Isle of Man. The Government took over many of the boarding houses on this island, turning them into secure places for internees. There were attempts to escape by many of the internees and John was transferred back to Brixton which was considered more secure. There had been no trial. An approach was made many times to Herbert Morrison for his release. Each time his application was put forward by Anne Cutmore and supported by the Duke of Bedford it was turned down by the Advisory Committee. 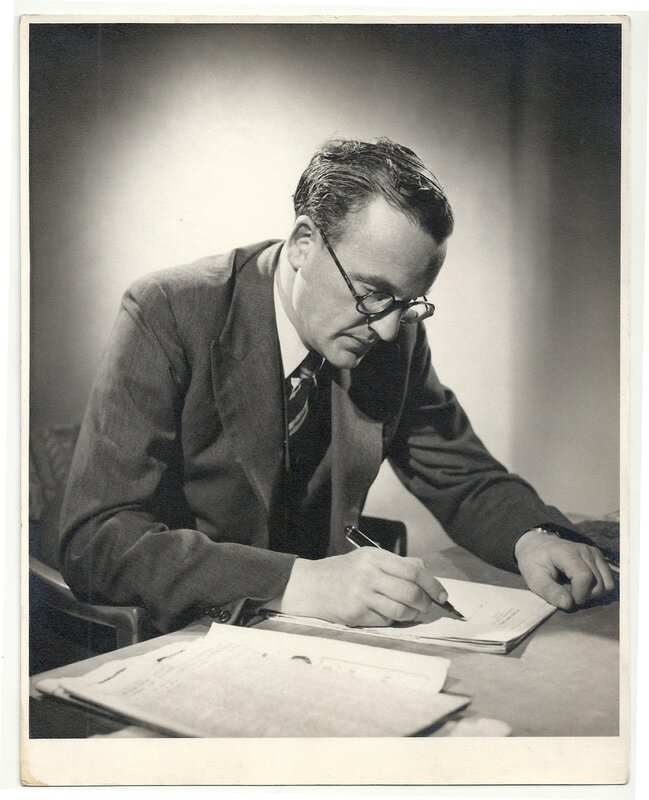 It was thought Herbert Morrison may have been instrumental in these decisions, remembering John Beckett's animosity towards him whilst they were on the Hackney Borough Council together. While interned, John Beckett chose to receive instruction from a Catholic chaplain and he subsequently converted to Catholicism. Prison life was causing John health problems and his heart condition that had developed in WW1 returned. He was diagnosed with Angina. In October 1943 it was agreed he should be discharged from prison but kept under house arrest. He was lodged with Dr. Forgan who lived in Brentwood, Essex. Anne also lived here with John. The terms for his release were restricted and his movements required he could not travel more than five miles from Dr. Forgan's home and twenty miles from London. Anne continued with her secretarial work to provide an income for them both. On many occasions when she had worked for the Marquis of Tavistock before he became the Duke of Bedford she had benefitted from his support. Living with Dr. Forgan was difficult for them both and Anne sought the Duke's help to gain other accommodation. As well as owning Woburn Abbey, Bedfordshire, the family also owned the village of Chenies, Buckinghamshire, just a few miles from Croxley Green and bordering Hertfordshire. The hotel in the village is named The Bedford Arms. John and Anne were expecting a child and the Duke made a cottage in Chenies village available for them in early 1945. Hostilities in Europe came to an end on 8th May 1945. Their son Francis Beckett was born on the 12th May. John's permitted movements were increased to ten miles in 1945 and for a short time he was an assistant administrator at the nearby hospital in Watford, now the Watford General Hospital. In 1946 having been arrested in Germany William Joyce was put on trial in England found guilty and hanged. © The Green looking towards Loudwater Lane. A tranquil area for John to live. John and his family moved into this large house and part of it was used for running the British People's Party. John produced a regular news letter called the Fleet Street Preview with the help of Anne. John and Anne had another son born in Thurlwood House in 1950. Several times the family moved out of the house for short periods. On one occasion they moved to Chorleywood for a year where a daughter Clare was born in 1952. The house called The Readings was located just off Solesbridge Lane. On another occasion they occupied the gardener’s cottage in the grounds of Thurlwood House. 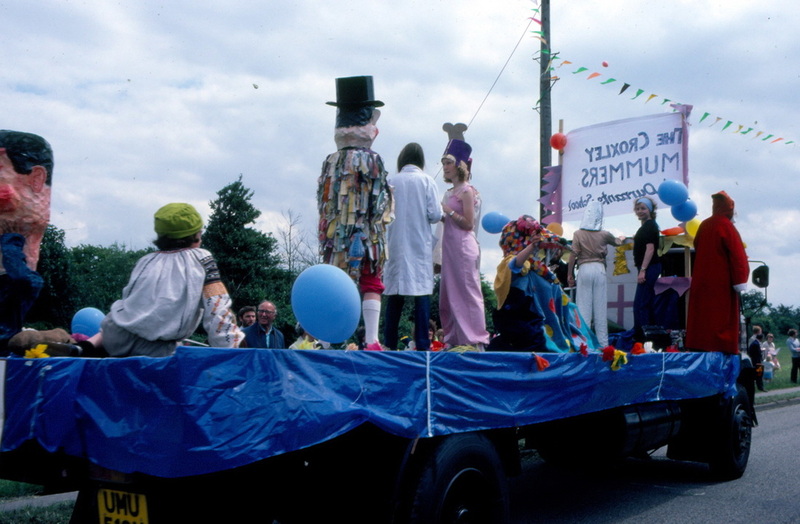 Croxley Green along with the rest of the country after the war was recovering from unsettling times but still able to celebrate events such as the coronation of Queen Elizabeth II in 1953. The family had many opportunities to see village life in a developing community. 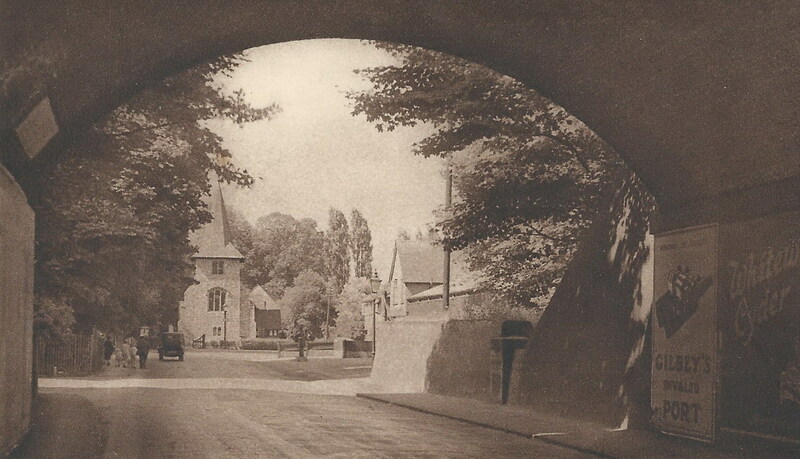 John and his family attended the Catholic Church in Rickmansworth. They went to confession on Saturday and Mass on Sunday. John became particularly friendly with the parish priest Father Brendan Fox who often visited Thurlwood House for supper or just a cup of tea. 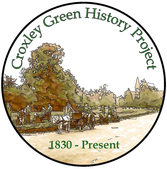 The three children attended local schools for short periods, including Little Green School, Lincoln Way, Rickmansworth Grammar School, Scots Hill, and St Joan of Arc School, High Street, Rickmansworth (then a convent school). A fatal accident occured to the Duke of Bedford on the 9th October 1953 when he accidently shot himself. This came as a shock to both John and Anne. Death duties to be paid by the Duke's heir required vacant pocession of Thurlwood House so that it could be sold by the trustees. Chenies village that had been in the Dukes of Bedford’s family since1526 was also considered for sale. The village was sold but John started negotiations with the trustees to keep the house. The British People's Party and the Fleet Street Preview was wound up the following year. John was now employed with Securicor as a night security guard to help finance their income. He was still well known and M15 were constantly observing him so a choice of employment was limited. After long negotiations with the Woburn trustees John was given permision to purchase Thurlwood House in 1958. However, after the purchase John decided to sell the house and the family moved to a flat in Wimbledon, part of a large house. The children were constantly being moved schools throughout their formative years. John's second wife Kyrle passed away in 1962 and this allowed John and Anne to marry. At the same time a vacancy arose in a Savile Row tailor's shop as a temporary manager and John was able to return to a trade he was familiar with. This enabled them to make a move into a more luxurious home, the top floor apartment in Queensgate Buildings close by the Royal Albert Hall, Kensington. However, John's health was deteriorating very quickly and he was diagnosed with stomach cancer in 1963. An operation in 1964 did not improve his health and he died in his home on 28th December 1964. He had asked to be cremated and prior to this his friend Father Brendan Fox said a Requiem Mass. Ironically, John Beckett's mother was Eva Dorothy Salmon (Solomon) whose parents were Jewish. The family originally came to England from a Prussian province that is now part of Poland and were naturalised in 1854. John Beckett made a choice not to reveal his maternal family's background during his lifetime. His son Francis only discovered this information in recent years and discloses it in the biographry of his father. A fuller version of the life of John Beckett is available written by his son Francis Beckett given at the start of this piece.